The Houston Texans have won six games in a row following a disappointing 0-3 start. Their most recent victory was in the mile high city of Denver as they beat the Broncos 19 – 17. 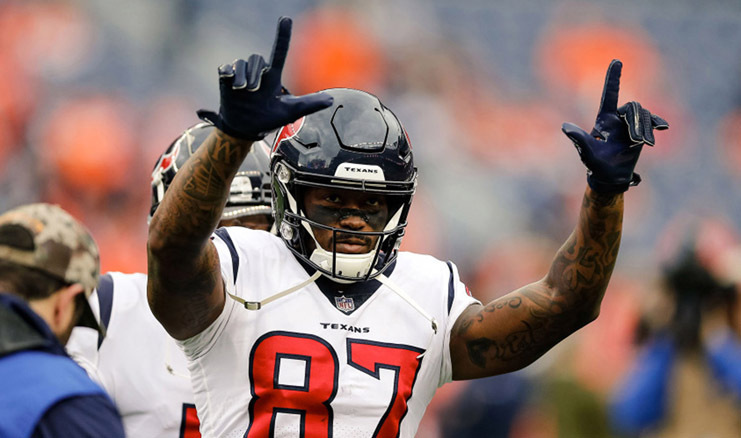 In a weird twist of fate, this game was a sudden and pressure-filled homecoming for wide receiver Demaryius Thomas who had been acquired by the Texans from the Broncos five days prior. Thomas was scooped up on Tuesday by the Texans in an effort to punch up the team’s defense. Thomas was embraced quickly by his new teammates and it was made clear that expectations were high. “We wanted him to walk out there as a captain and we wanted him to walk off the field as a winner,” J.J. Watt said when asked about Thomas. Deshaun Watson threw and made three completions to Thomas for 61 yards. It wasn’t all sparkles and sunshine for Thomas. He had a few moments of forgetfulness and confusion in the new system in the fourth quarter. He had a false start, lined up in the wrong spot, and even had to jog over to Watson to find out exactly what he needed to be doing. “I messed up a couple of times and I felt like it would have been on me if we didn’t get that W,” Thomas explained. Luckily, the Texans did get the W and a win is a win.